Today's Taste: 8 Week Weightloss Challenge! I am personally really excited about this because I am ready to meet my weight loss goal! I just haven't been to the same weight I was before my 3rd child. 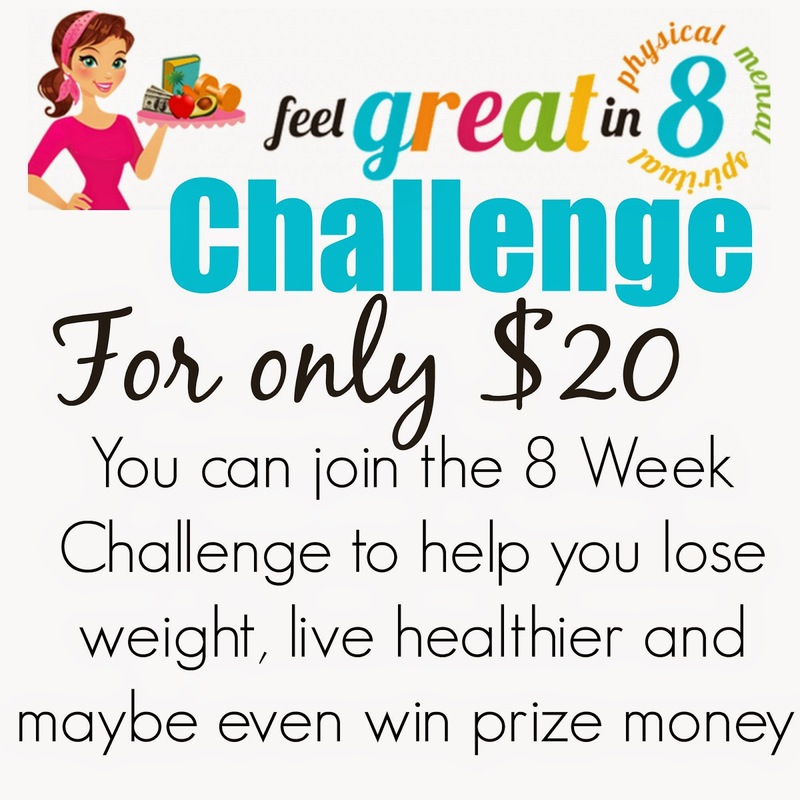 I have been looking for a program to do for awhile and I am so excited to introduce to you the Feel Great in 8 Challenge! I know I’m not the only one out there who has a goal to either get healthier, eat more clean, or just lose weight. And I’m sure a lot of you might even have a New Year’s Resolution to do that as well. Since the end of January it has been harder to keep my goals! So the Feel Great in 8 Challenge is just what we need! 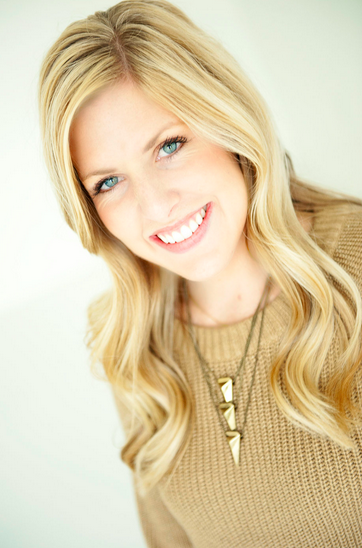 Tiffany from Feel Great in 8 put together a Feel Great 8 Week Challenge for all of us! Participants will put in $20 into “the pot” and you’ll get points for eating things like fruits, vegetables and staying away from sweets and junk food. You’ll also get points for drinking water, exercising and taking supplements your body needs. One of the cool and different things about this program is that you will also get points for things like spending time with your family, journal writing, meditation or prayer and doing a weekly service act. So not only will you be feeling better physically, but more than likely you will feel better on the emotional and mental side as well! **Oh and one more thing I need to make sure I mention… you even get points for getting enough sleep at night!! Tiffany will be pulling weekly cash prize winners. And at the end of the 8 weeks, competitors with the most points will win cash prizes as well! The cash prizes will be bigger depending on how many people we have participating. However, in the past 7 years that Tiffany has been doing this, winners have received up to $350!! And in 8 weeks, she’s had participants lose up to 36 pounds. Awesome!! If you want more information on the Cash Prizes, you can read her blog post over here. Each week you will get to have 2 unhealthy treats to splurge on without losing points. YAY!! You will also get 1 entire FREE MEAL to eat whatever you want during the challenge without losing points. For me, that will be Valentine’s Day! But if you have a Birthday, Anniversary or Occasion you want to use that on, you can choose that day instead. We will also have a few more exception days set up for everyone because I know a lot of us are headed to Disney World at the end of February for our group trip. And you’ve gotta splurge there! So everyone will get a few extra unhealthy treats and exceptions on our 8 Week plan to make it fair. For those of you who might fast for religious reasons, anytime that needs to happen, you will not lose points because of that. Details are in the full packet after you register. On Monday, January 26th we will start our 8 Week Program. It will go until March 15th. So mark your calendar. Starting NOW through Monday, March 2nd you can sign up to be on our TEAM. (I would do it sooner vs later so you can get the Challenge Packet and have everything you need and groceries before we start on Monday. )Just head over here and click the Pink “Join the Challenge” button. Make sure you join that one so we can be on the same team and then pay your $20. After you have paid your $20 to participate, you can read the Challenge Packet and see the point tracker. It will tell you everything you need for Monday. NOTE: Tiffany gave me a preview of the Feel Great in 8 Packet we will all get, the list of foods you can and can’t eat and all of the details. I have to be honest. This is the most comprehensive and well put together program I’ve seen! I’m really excited how easy it will be to track points and know exactly what to do and what to have before we get started. If you are looking for a way to help you eat healthier - This is it!! !